Evolution is the central unifying theme of biology. Yet today, more than a century and a half after Charles Darwin proposed the idea of evolution through natural selection, the topic is often relegated to a handful of chapters in textbooks and a few class sessions in introductory biology courses, if covered at all. In recent years, a movement has been gaining momentum that is aimed at radically changing this situation. Providing a synthesis of Darwinian selection and Mendelian genetics and marking a turning point in the development of evolutionary thought, this work is one of the most frequently cited references in modern evolutionary biology. by Edward Clodd - D. Appleton & co. This book tells the story of the origin of the Evolution idea in Ionia, and, after long arrest, of the revival of that idea in modern times, when its profound and permanent influence on thought and on human relations and conduct, is apparent. 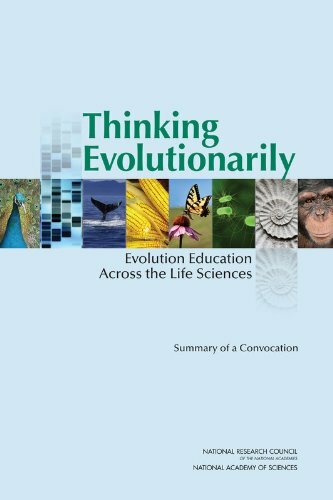 This workbook focuses specifically on assisting educators build their own understanding of genes, the mechanisms of inheritance and selection - the basics of evolution. The book uses diagrams, illustrations, text information and activity sheets.